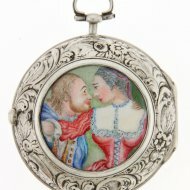 #3085 Antique dutch Silver pair cased repouse verge pocket watch by Jacob or Jacobus Viet, Rotterdam. 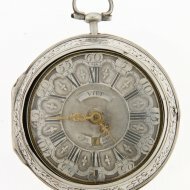 Antique silver pair cased pocket watch, signed: 'Viet à Rotterdam'. 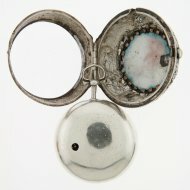 Repouse outer case with enamel medallion. 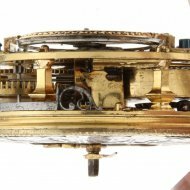 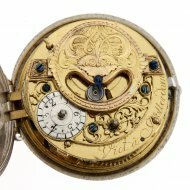 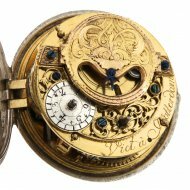 Verge movement with typical Rotterdam mock pendulum engraved in Louis XIV style. 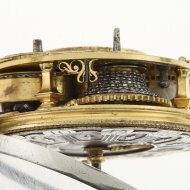 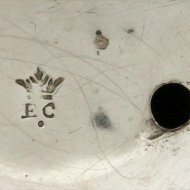 Dutch style silver champlevé dial with date indication.